KATIE: Uh oh. I've got a bad feeling about his. Do I dare? KATIE: The Easter Bunny is just not what he used to be. WAFFLES: Whaddaya mean I'm not what I used to be? ... um, what did I used to be? Everyone here at the Townhouse wishes you a Happy Easter and Passover. Be kind to each other. Even those wearing big pink ears. Oh Waffles, you look so puzzled in that last photo! Happy Easter and Happy Passover to you too! Quick Katie, stuff it back in the hat! MOL! Happy Easter to your household! Happy Easter! We thought Katie would try to make Waffles disappear!!! Happy Happy Easter weekend to you too ! Happy Easter to all of you from all of us! Happy Easter Hoppy Hugs from all of us. Happy East to you as well. Happy Easter and Passover to you all, dear ones! Happy Easter! May first... How mysterious. Vewy cute. Happy Easter tu you and you's furmily!! 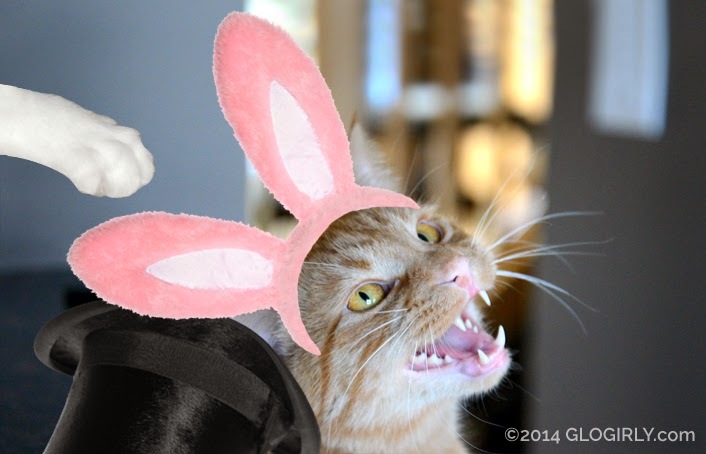 That Easter Bunny looks quite ferocious with those fangs. Waffles looks so cute in his bunny ears. 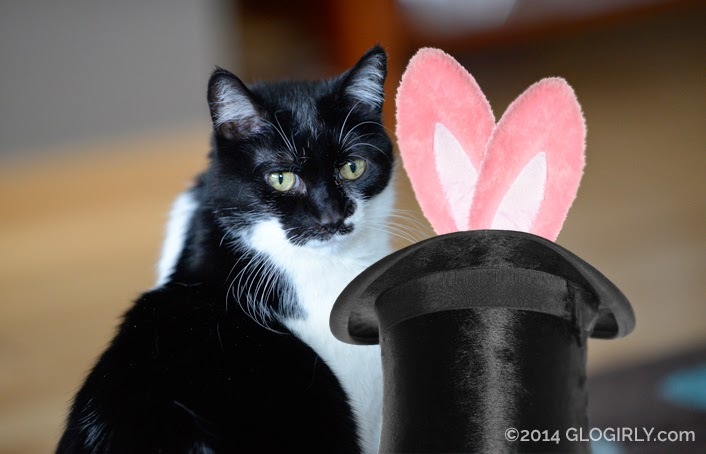 Happy Easter to our furriends and their humans. Happy Easter to all the Glo’s, including Waff. To all of you from all of us the same. HAPPY HAPPY EASTER TO ALL OF YOU!! What did you use to be Waffles? 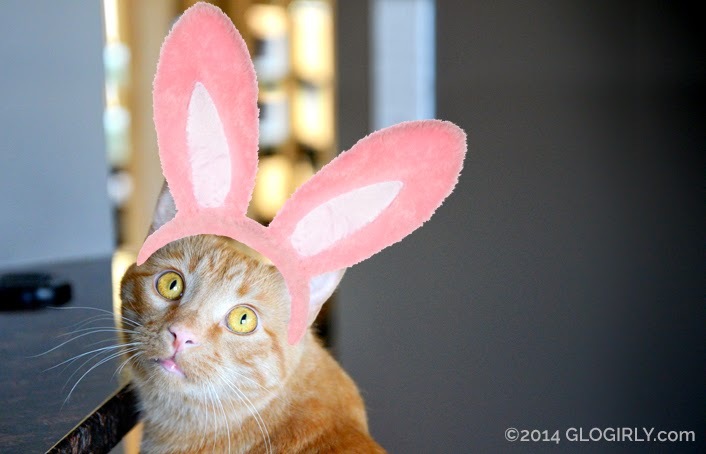 ?You use to be so cute..and you still are..MOL..Happy Easter to Katie, Waffles, Glogirly and Gloman! !